Have you ever wondered how to make homemade fortune cookies? Well check out this video and you'll see it's not hard. 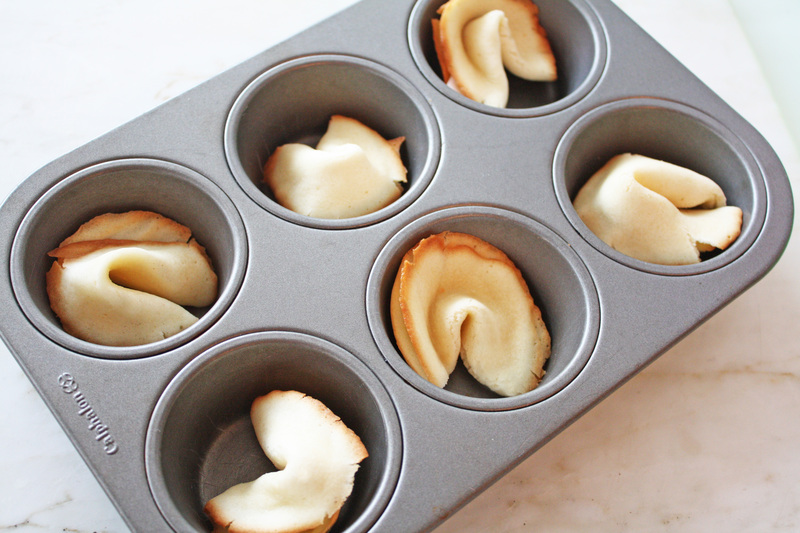 Plus there's a cool mug trick to get the perfect fortune cookie shape. These would be great to serve at all kinds of parties because you can put your own fortunes inside. Picture disclosing a baby's gender at a gender reveal baby shower with a fortune, or sending your guests home with a cute thank you fortune, or as a creative way to celebrate a birthday girl or boy! 1. Combine first four ingredients and mix thoroughly. Add flour. Batter will be thicker, similar to pancake batter. 2. Using a 1/2-1 tablespoon of batter, scoop out batter onto a parchment lined baking sheet. Using your spoon make thin, 3" circles with batter. Make sure the circles are "thin." 3. Only make 2-3 cookies at a time. 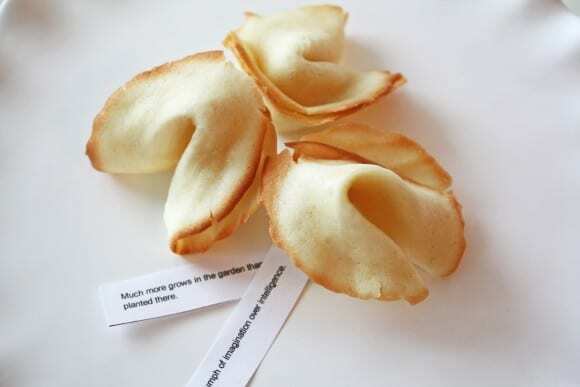 They cool quickly and you need time to add fortunes and fold them. 4. Add fortune to cookies and gently fold cookie in half. Press cookie down against the edge of a mug. 5. Place cookies in a muffin pan to cool. 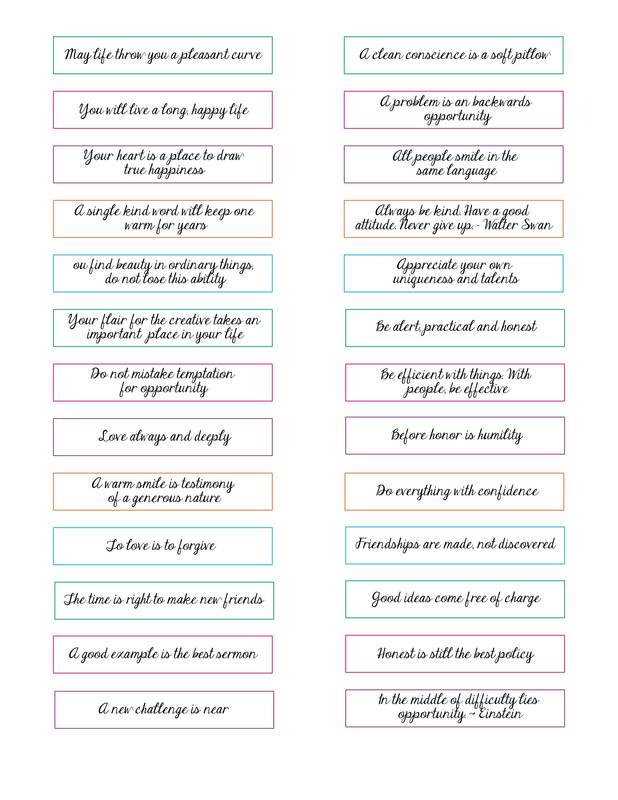 And here are some cute printable fortune cookie fortunes you can download and print out to put in your cookies. This fun recipe was created by our style and craft contributor, Shauna atElla and Annie Magazine! To see more of Shauna's work, check out Ella and Annie Magazine and visit them on Facebook, Twitter, Instagram, and Pinterest.